Our Senior University Counsellor, Mark Chalkley, has been chosen one of the nine 2019 Counselors That Change Lives, the only international counsellor to receive the award this year – and we think the first UWC counsellor! This honour is given in recognition of Mark’s dedication to the college counselling profession and for promoting and supporting a student-centred college search process. 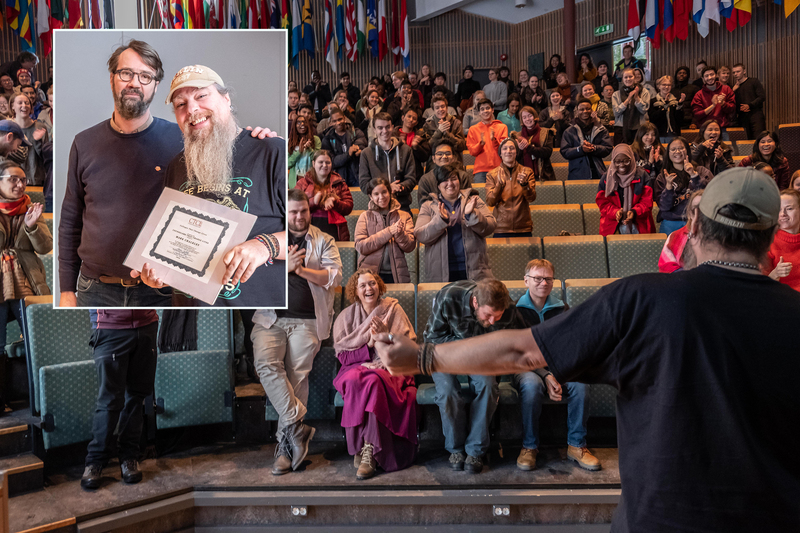 “Dare to Fail.” The tattoo on Mark Chalkley’s arm is an outward symbol of his approach to helping UWC Red Cross Nordic students navigate their futures. Each year, Mark’s caseload includes approximately 100 seniors who come from 80+ countries with a wide range of socioeconomic backgrounds and an equally eclectic assortment of post-secondary aspirations. He assists every one of them by finding the best match for their skills and interests in locations all over the world, frequently with no funding from home. More often than not, RCN students choose an opportunity abroad, sight-unseen. However, Mark’s careful counseling throughout the process also instills students with confidence in their abilities to transition to another culture and succeed in college. Originally from the UK, Mark Chalkley has been living on campus as the college counselor at Red Cross Nordic for over a decade, and his continued dedication to students is more than deserving of this honor.